The issue with this kind of program is: how far should it be taken? Because if you want to achieve true screen-accuracy the list of things to take in consideration is huge. From a starter, armors eligible to that award would have to be restricted to a narrow few (RS, TM, and Anovos only). And even there, none of them can yeld absolute true lineage to a screen-used armor. Glue would have to be stelmax 1985. Boots must be genuine Stuart's 1095. All snaps must be vintage Newey. Calf hooks must genuine Newey size 4. All elastic straps must have correct width and frayed ends, etc... Not to mention the blaster which would have to follow the same rules. Difficult award to establish, difficult to follow for builders, difficult to review for the guy granting the ward. And if you start removing items from the list to make it easier, then your "screen-accurate" award doesn't represent much anymore. Personally, I don't see a problem with this as a separate award. This sounds more like MEPD's SWAT. At some point in the future I will be getting myself an RS HDPE lid (next time they do a run) and will be trying my hardest to create a replica of the original helmets, warts and all. If money allows, I would love to create a full suit of actual "Screen accurate" armour, including weathered gaffer tape, cracks where applicable, and replicate a seen-on-screen trooper. However, I know that this could not be officially trooped as we, in the 501st and the FISD, use the CRL to follow a set of 'ideals'. The CRL is not all about screen accuracy, as screen accuracy actually includes a lot of damage and issues that we could not sustain through weekly/monthly trooping. My understanding of the CRL, including EIB and Centurion, was to create an "ideal". Trying to create what we, as a community, feel that the TK was intended to look like based on the reference material available to us, and help us look uniformed as a group when we troop. That's why we don't allow "Mr. No Stripes", or troopers without their holster, even though these are "screen accurate". When we all finish our TK build, it looks like it is fresh form the Imperial Armoury - did a single TK in ANH look like this?? As we are all different weights and sizes, different armour kits vary in terms of mould quality, colour (based on PVC/ABS/acrylic capped ABS etc)., we are never going to look the same. To me, the beauty of having Basic, EIB and Centurion is that people have the choice. If they want to buy a kit and aim for basic, that's all good. If someone wants to spend hours searching build threads, reference photos, tutorials, the movies themselves, I think it's great that they can work towards Centurion. As most of the "suggestions" here are based around the higher levels, I can't see that this should cause to much of an issue. The great thing about this 5 page discussion is that this, in itself, is spreading awareness. As many of us do on the forum, we will offer advice where it is requested - the more awareness of these build "suggestions" across the community, the better, as more and more prospective troopers will see the options available to them from day one of their journey. Great now we’re gonna start a new thread and have a 10 page discussion on the origins of Vikings. We all know they’re from Minnesota here in the states guys. Let get back to how many mm of boot sole we should have for the CRL. You're right, I'm thinking Scandian, not Scandinavian. For history, MEPD Swat = FISD Centurion. I worked with the MEPD DL at the time to ensure that it was the same program goals. Centurion is to represent the highest level of accuracy that can be allowed in the 501st, as you know the 501st is not a prop replication club but a costuming club. We don't allow Mr. No Stripes, etc. as they are costume flubs. 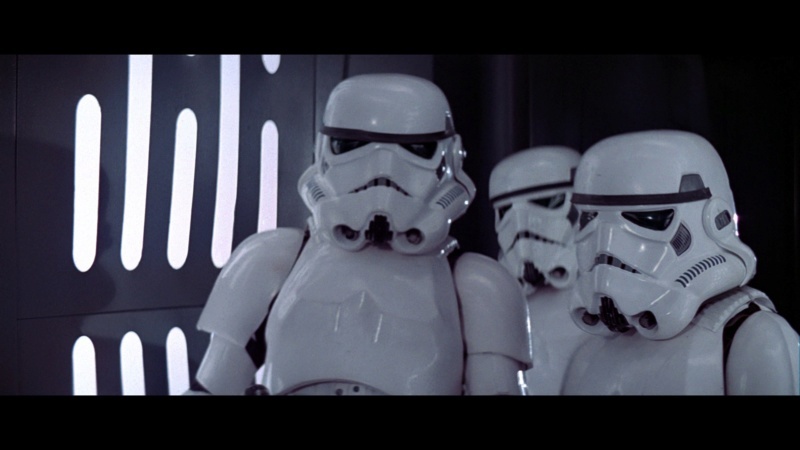 Also, while every sandtrooper looked slightly different, the intent of the stormtrooper was to be identical. For instance there are one or two quick scenes where you see a TK without a holster, but again these are obvious costume department misses that were not uncommon for such films in the 70's. Actually if you look at the films, there is some wear on various TKs, so at some point even a clean TK - again if you really want to go all the way - should be OK to have some slight scuffs for ANH and also ROTJ. You are right though, the point of these programs was to offer choice, even waaaay back in the day when it all started. Some people just want a basic costume, especially if it's a secondary costume or they are starting out. Some want to go all out. Deployed/EI, etc. were developed to have a path for those who want to go beyond base CRL. SWAT/Centurion for those who want to take it as far as they can without going so far that the costume can't be approved (e.g.. gaffers tape, crappy paint). A fourth award would render a costume not 501st approvable, e.g. if you really wanted to go to prop replication. I'm not really going to go back 5 pages of discussion, but FYI, there is no intended "brow height" difference between hero and stunt helmets. Some just ended up having lower brow than others. There are several hero helmets that can be seen with a "mid-to-high" brow. 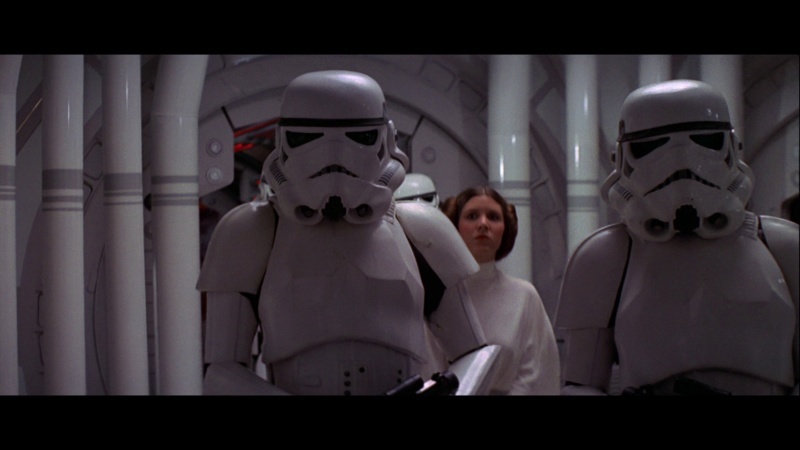 The low-brow helmets just had more screen time because Luke happened to wear one. This pic from outside Ainsworth studio suggest there was an intended hight for the brow. As someone who is currently mulling a shot at a SWAT application, I can say that MEPD has pretty much moved their SWAT requirements for specific sandtroopers into the realm of "prop replication" (not quite, but close). Not only that, but the required accuracy increases after each approval- so the requirements can seem somewhat arbitrary or subjective at times. And in my case - I needed extra gear for basic and PO (EI equivalent) that I will not need for SWAT - it just isn't very logical. Anyway, I feel the approach at MEPD actually discourages people from trying to apply for SWAT or upper level approval in general. I don't want to see that happen here. 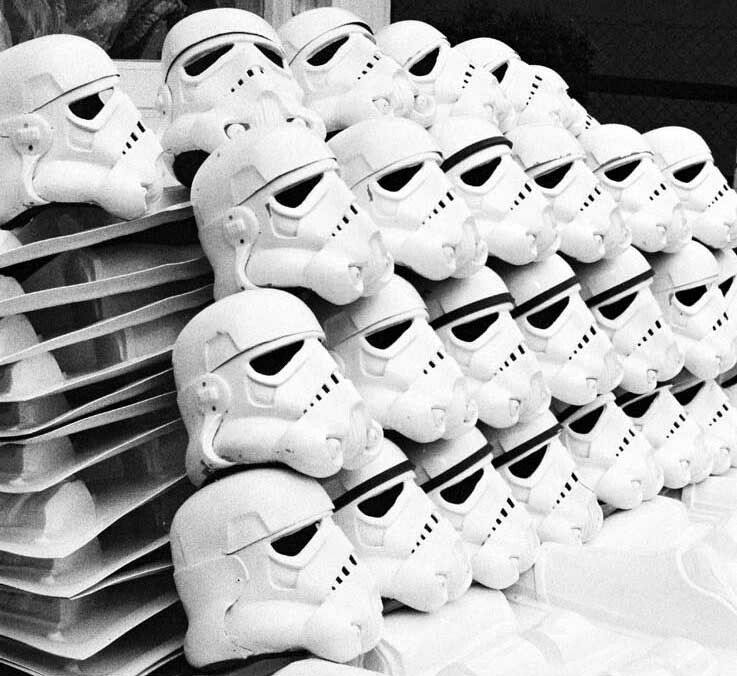 The super-OCD, detail freaks (and I'm a little guilty of that) can always build our pet projects and post pictures and feel superior - we shouldn't need special 501st/FISD recognition for it. What a person learns in the process is reward enough. There was? I see a few different heights. And even if there was an intended look, you honestly think they measured each one to the exact mm or just eyeballed it to look close? Yeah, I hear you on that. When Lancer (BSN) first came in, it was so hard that very few got it. Having standards so crazy maybe 12 out of 5000 people can achieve it - or even bothering to achieve it - doesn't make sense. So there is certainly ground to move this upward, but you can go too far too. I’m just saying my side and didn’t mean to interrupt your post (but yea I did, so my bad). I think this is getting way outta hand. People talking about mm height and gap sizes and everything. I get people want to look as authentic as possible but this hobby is nerve racking as hell when your building something that already cost about a grand. I honestly don’t think any thought was put into building these things in the 70s, if the guys who did build them could see this thread they’d probably laugh. Everything was made to look “similar” not exact. If they wanted exact they would have done a ton of reshoots to take out the shots where people’s armor was falling off, missing parts, held on with tape and well you get the point. Not to mention the fact that the people that are centurion already and now you want to make more requirements for centurion. They’ll all get grandfathered in so they’re good? That makes no sense. Your either centurion or not if your armor doesn’t meet centurion specs then it’s not centurion simply put, everyone has to be the same right? Again Swede I hi jacked another of your posts so I’m sorry I just wanted to say It wasn’t intended to come at you or anything I know you didn’t think that but I felt the need to just say it, cause your a huge help around here and I don’t want you thinking I or anyone doesn’t appreciate it. I’m a straight shooter and if I’m coming at someone they’ll know. I’m just one person in this FISD cog and this is just my opinion. While we’re at it I don’t think all Vikings wore the horned helmet I believe it to be only a certain rank of Viking (I’m not an expert though). But I do think the horned helmet should adorn the TK on the Swede badge in which Matt is currently working on an interesting thread. The﻿ super-OCD, detail freaks (and I'm a little guilty of that) can always build o﻿ur pet projects and post pictures and feel superior - we shouldn't need special 501st/FISD recognition for it. What Mathias is saying is that you guys tend to oppose Stunt as having high or mid-high brows when all Heros have a low brow. That is incorrect as few Hero helmet also had a mid-high brow. So careful not to go and instaure a rule saying that all Hero helmets must have a low brow because that would be a mistake. Highest brow of both is a Hero. And even Han's Hero helmet doesn't have a low brow. Those two might very well be the actuall Luke and Han helmets and I agree that there shouldn´t be an absolute but in my opinion it does appear that the intended look for the Stunt was a higher brow. Thanks for you input Paul. This comment about SWAT has confused me somewhat. I was under the impression that SWAT was about emulating a specific screen trooper, down to the weathering patterns, bumps and scrapes, hovi-tip orientation, accessories etc. This sounds much more like prop replication that Centurion. There are many pictures in the first post that indicate that the majority of the 50 stunt TKs created for ANH had a 'very similar' brow height. Based on the movie itself and the other reference materials available, it very much appears that the majority of Stunt TKs had a small gap between the top of the eyes and the bottom of the brow. As far as I am aware, nobody is saying that all 6 Hero helmets had a low brow. Various, specific hero helmets do exist with low brow, such as the promo trooper. I would agree that Luke and Han do not have specifically low brows. However, the point of the suggestion was to focus on the Stunt TK, as this is FAR more prominent throughout the legion. I'd say to this, I think something might be getting lost in translation as this thread progresses. I don't think that anyone is suggesting an EXACT brow height - that would not be fitting to an OT TK in any way. However, the majority of stunt TKs in ANH appear to have a gap between the eyes and the brow. Yes, there are a couple of troopers that buck this trend, as highlighted in post no.1. Looking at them closely, this very much looks like wardrobe malfunctions. Not to mention the fact that the people that are centurion already and now you want to make more requirements for centurion. They’ll all get grandfathered in so they’re good? That makes no sense. Your either centurion or not if your armor doesn’t meet centurion specs then it’s not centurion simply put, everyone has to be the same right? I would not expect ANY current Centurion to be made to change their armour if the CRL evolves. Many requirements in life change over time. For example, I passed my driving test many years ago. I'm certain that theoretical and practical driving tests have changed over the years, however, I am not expected to loose my driving licence because those tests have been changed. I passed based on the requirements at that time. The strange thing I've found with Centurion is that it has been openly said on FISD that once clearance has been granted, the costumer if free to troop how they wish. For example, swapping out their rubber gloves for Nomex etc. Whilst this is off topic, it sprang to mind so I thought I'd mention it. This Makes no sense to me. As above, the topic was more about Stunt TKs. Although, notice another Stunt in the background with a clear gap above the eyes??? I think SWAT (and Lancer) have moved closer to prop replication than Centurion has. I don't think any of these programs should go to full prop forgery, but it does IMO show that Centurion could be made 'harder'. All of these award programs in all the detachments are one-time. Consider them "achievement in costume excellence". What you do after getting it is up to you. It's kinda like getting any other type of award for merit/achievement. So yeah, you could get Centurion and then troop with nomex gloves all you want. Each to their own, however I wouldn’t want to put in all that effort and then make negative changes that negate the award.